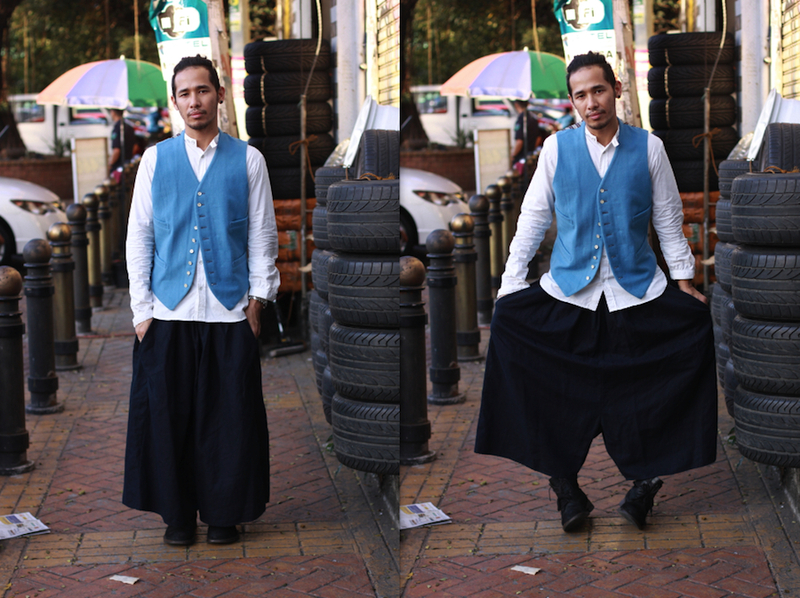 Today, I resurrected my dark blue Bless giant shorts and paired it with my light blue Yohji Yamamoto waistcoat and a Rag & Bone button-down. I was lucky to find this gem at Ra's Outlet store in Antwerp a couple of years ago. And until today it's probably one of my favorite pieces in my closet. Why? Well, it's such a conversation piece. It never fails to intrigue random people whenever I put it on. Also, it's quite versatile since it can practically fit anyone from size 0 to possibly size 22! Isn't that brilliant? 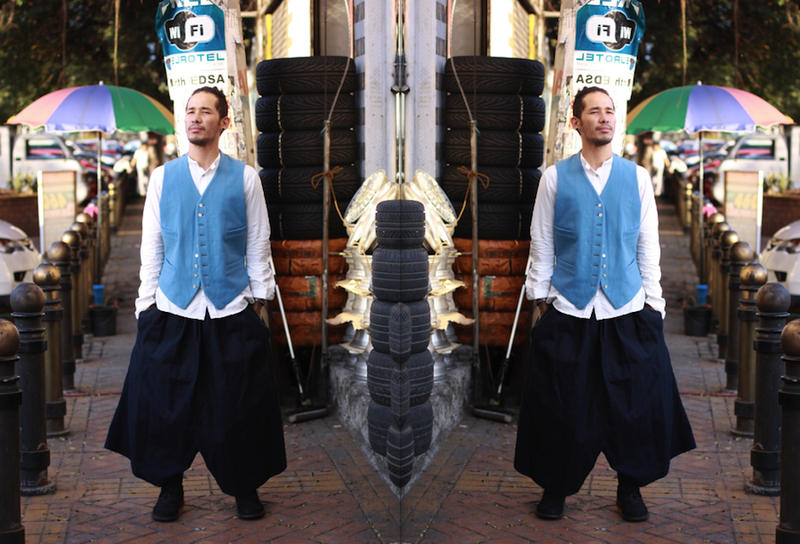 I got this baby blue Yohji waistcoat from my Mystery Santa several weeks ago. I'm glad that somehow I'm diversifying the colors in my closet little by little. Upon closer inspection, you will notice that its painted white buttons resemble the ones on my Rag & Bone shirt. I'm very keen when it comes to little details like that. It's my OC nature to blame. I like this ensemble a lot.